Edmund's dev blog for gay nerds: Super Meat Boy coming to Steam Q1 2010! Super Meat Boy coming to Steam Q1 2010! 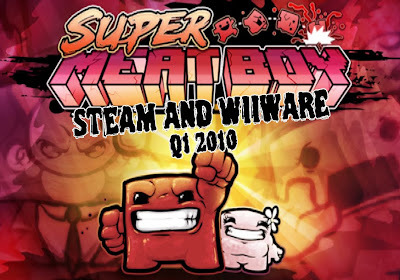 The coming soon page for Super Meat Boy on Steam went up today, officially announcing that SMB will be coming out on Pc and Wiiware in the 1st Quarter of 2010. The Steam page also has some new screen shots and info. We will also be selling the Pc version off our site as well.. This is an amazing blog posy found here.... Its an interesting blog post found here.... Keep posting such an awesome blog post.